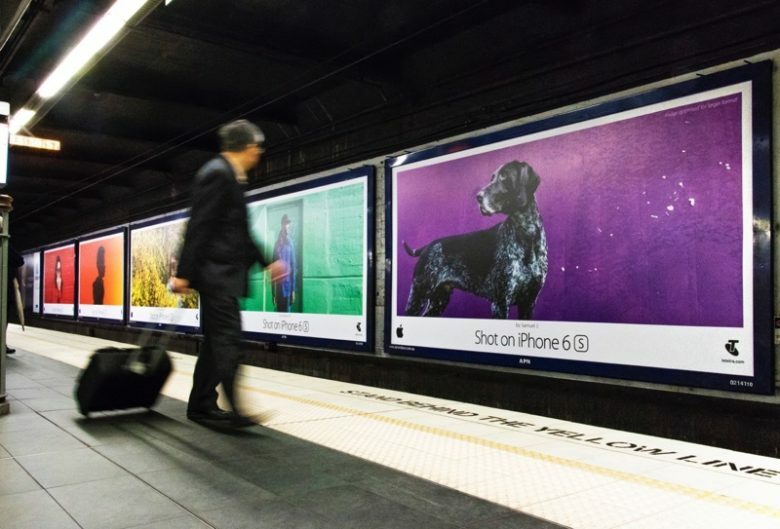 Shot on iPhone ads at a subway in Sydney. Apple’s next billboard may be in your pocket. Apple is inviting iPhone photographers around the world to submit their best shots for its next “Shot on iPhone” marketing campaign. Some of Apple’s best ads have come from the photos and videos made by iPhone users, many who don’t consider themselves photographers. Apple’s first “Shot on iPhone” campaign hit in 2015 with the iPhone 6. Apple mined Instagram and Twitter for photos with that hashtag for images that went on billboards, banners and magazine ads. Videos were also used for television ads and iPhone sales shot through the roof as a result of the campaign. Entering for the latest challenge is simple. Use the #ShotOniPhone hashtag for pictures uploaded to your Instagram or Twitter feeds through Feb. 7. A panel of judges will select 10 photos to be featured on billboards in select citifies and in Apple retail and online stores. Among the judges are Pete Souza, the photographer for President Barack Obama; Luisa Dörr, who rose to acclaim after photographing with the iPhone a series of covers for TIME magazine on influential women around the world; and Austin Mann, an educator and established travel photographer who works primarily with iPhones. Additional information about the contest can be found here.